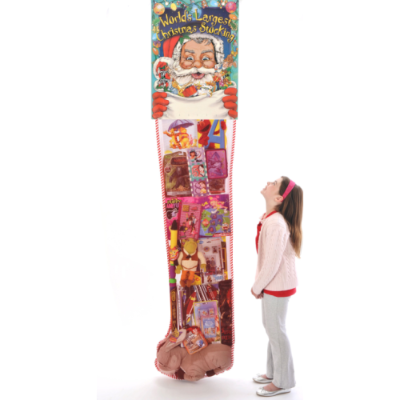 Celebrate the season with our amazing 8 foot or 6 foot Christmas Stocking with Toys! It’s a full commercial Christmas display with eye-catching current season toys custom selected to appeal to both boys and girls ages four through 10. But people of all ages react positively to these festive displays! 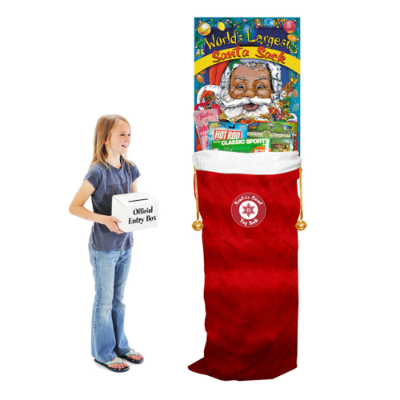 Additionally, each Stocking comes with everything you need for a successful raffle promotion: a Santa-themed header card, two 4-color posters, one raffle entry box, 1000 blank raffle entry forms and a ceiling hanging kit. 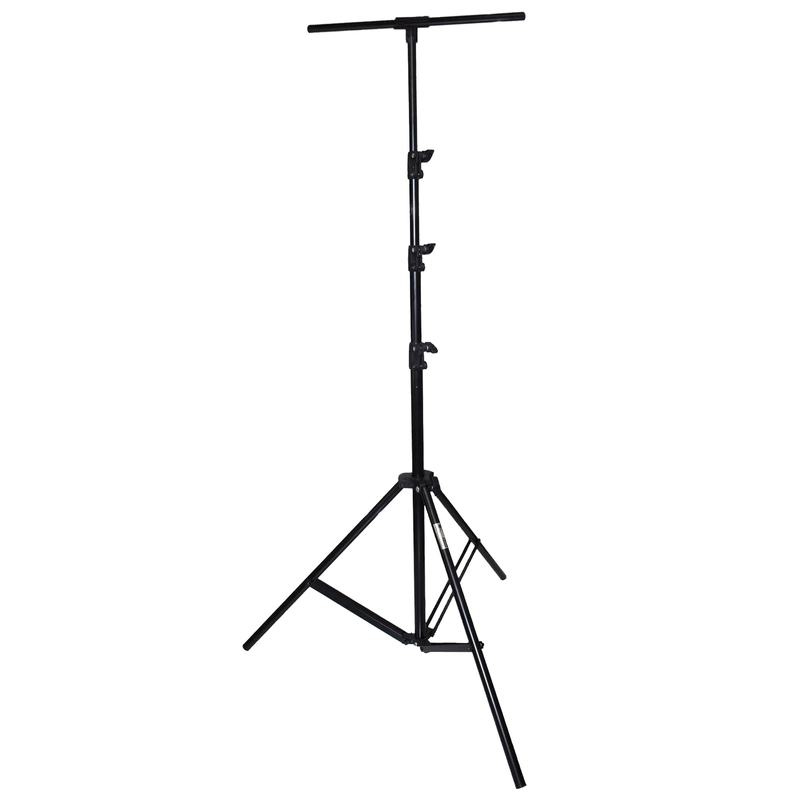 (If you don’t want the promo kit, please indicate so in the Notes sections of your order.) 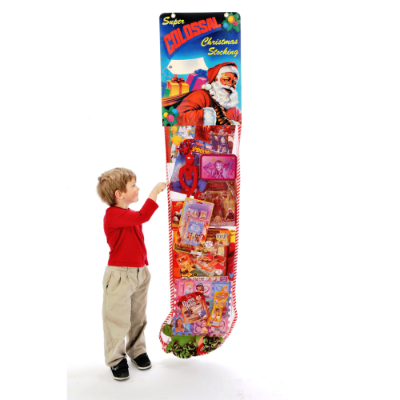 Giant stocking raffles offer almost unlimited promotional opportunities. 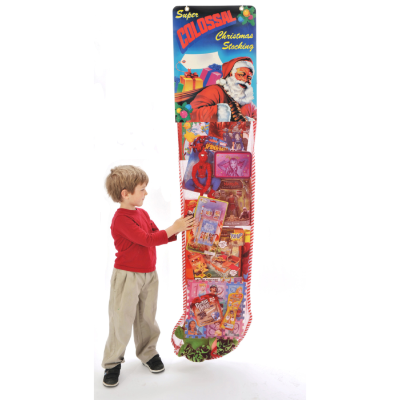 Visit the Business Promotions page for ideas and information on how to make this filled Christmas stocking work great for you.